Vous souhaitez poser une question à l'établissement Eden Garden Resort ? Si vous cherchez un établissement adéquatement situé à Ratchaburi, ne cherchez pas plus loin que le Eden Garden Resort. Situé à 4 km de l'animation de la ville, cet établissement 3.5 étoiles jouit d'un excellent emplacement et permet d'accéder aux principales attractions touristiques de la ville. Niveau visites, Suan Phung Hospital, Musée Pawothai, Pongyup ne sont que quelques-uns des centres d'intérêt qui attendent les voyageurs prêts à partir à la découverte de la ville. Le Eden Garden Resort dispose de nombreux équipements pour rendre votre séjour à Ratchaburi encore plus enrichissant. Pour ne nommer que quelques-uns des équipements de l'établissement, citons WiFi gratuit dans toutes les chambres, WiFi dans les espaces communs, parking, service en chambre, restaurant. Le Eden Garden Resort abrite 16 chambres conçues avec goût et dotées, pour la plupart, de commodités telles que télévision écran plat, internet sans fil (gratuit), chambres non-fumeurs, climatisation, balcon/terrasse. L'hôtel propose des équipements fantastiques, comprenant entre autres massage, jardin, sports nautiques (non-motorisés), pensés pour que vous puissiez vous détendre après une journée harassante en ville. Services hors pair et adresse prestigieuse sont le lot du Eden Garden Resort. At first look at the hotel, I found it very lovely and beautiful. The staffs are very friendly and helpful. The rooms are excellent with a very nice view by the river. Further more the breakfast is delicious (american breakfast plus porridge). Its a very nice place for a quite vacation and relaxation. The hotel was very quiet,cant even find any staffs after 7.The restaurants was closed,reception was closed. and at night many insects were there in the bathroom.the shower cap,the water tap are very old too.the photos given are very old and even the reviews are very old too..dont ever book seeing the pics.rust was there on the furnitures,and on one place there was lot of dumped items,breakfast was ok. I got the farthest twin bed room on the 2nd floor although I requested a king size bed. I then could not reach provided free wi fi. Yet, it was a cute room with a canal view when looking from the balcony. Breakfast was not so bad and staffs did as good as I expected. 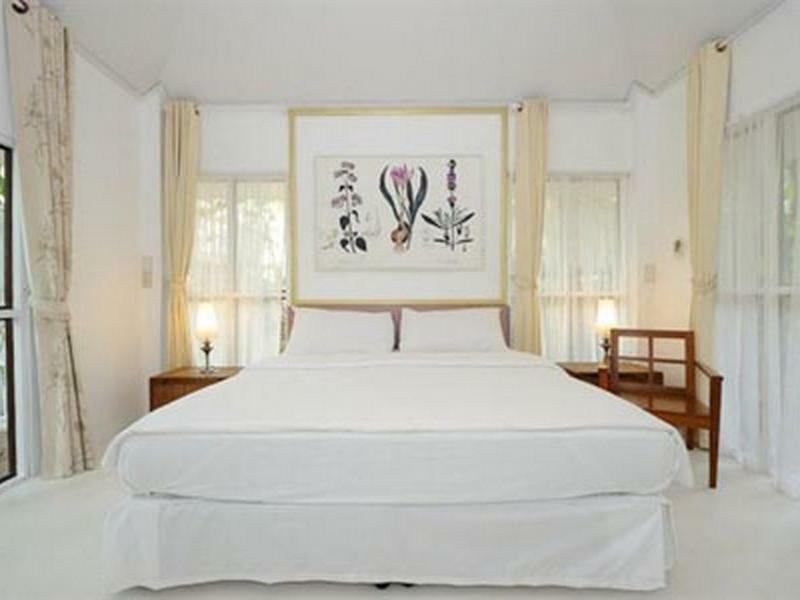 Great location and amenities, friendly services..
Room is comfortable with all the necessary amenities. Most of the rooms have a large private balcony with a view of the river. Majority of the rooms are along side the riverbank. The resort is on a large plot of land with lots of trees and cute garden decorative items hidden all over the place. Great for picture taking when you spot them during your morning or evening walk around the resort. They also have bicycles for you to borrow and ride around the resort. Other activities are canoeing along the riverbank... or if you just want to read a book and chilled out, they have several spots for just reading too. 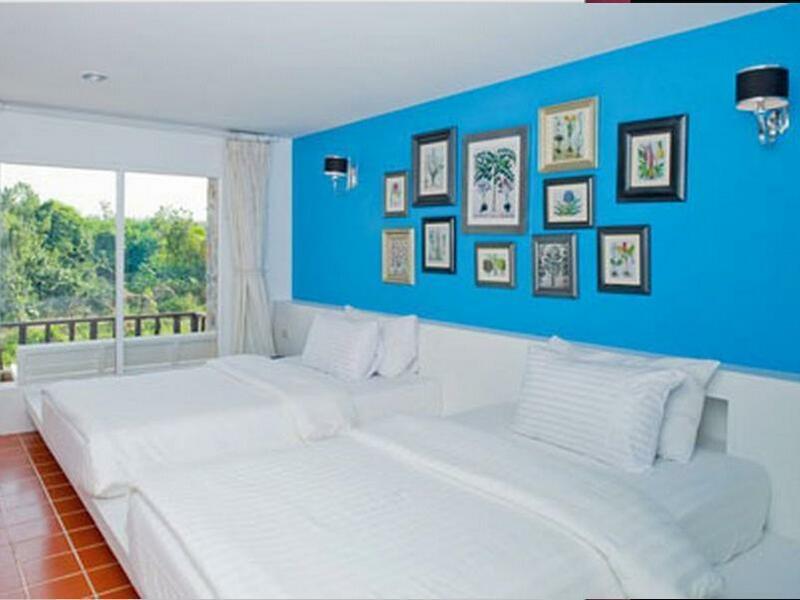 The location is right on the border of entering Suan Pueng so if you need to go into town, it is just minutes away. Other popular resorts are a bit further in the hills which can make it a hassle to come out. For pet lovers, they also have 2 rooms reserved at the far end for those who want to bring their pet along. They have a resident golden retriever at the resort that you will often find him chilling out by the reception desk. Staff are friendly and service minded. Overall, I would definitely come back and visit again. The place is very nice and good for people who love shooting photos. The staffs are very friendly and helpful. We booked a Charldine room type for 2 night stays. Though the room is quite small but the facilities are okay. Got everything you need in there such as towels. hair dryer, bath kit, TV, DVD player, refrigerator and 2 bottles of water for free of charge per day. There is a Wi-fi for using as free of charge in the room as well. However, the restroom is quite small and the bathroom shelf is very small. You will have to put all of your shampoo or bathing gel bottles on the floor while you're taking bath. Really unconvenient. If you don't want to have a lot of people. I recommend this because it is very quiet, but there may be problems with the choice of breakfast. Nice grounds; clean room; staff agreed to early breakfast. I stayed at Eden Garden Resort mid-week and there were no other guests, so there were no staff on duty, the restaurant was closed, and the internet wasn't working. The room was barely OK. How they received four stars is beyond my imagination. Comfortable room with nice river view. Easy to find location and very quiet environment. The room is spacious with separate bath and toilet. The hotel has quite a collection of DVD which you can borrow for free. The hotel also offers a kayak that you can row along the river. Staffs are very nice and friendly. nice scenery, good place for leisure and photo shooting. Everything if just nice with the hotel, scenery, services, food.. However, the workers there is not so good in English. The area also a bit hard to teach. Beret confirm a hotel service to fetch you when you reach somewhere nearby through public transport. The resort small but comfortable, friendly staff and helpful best value for stay.